9:45am departure from AccessPoint on Danforth. 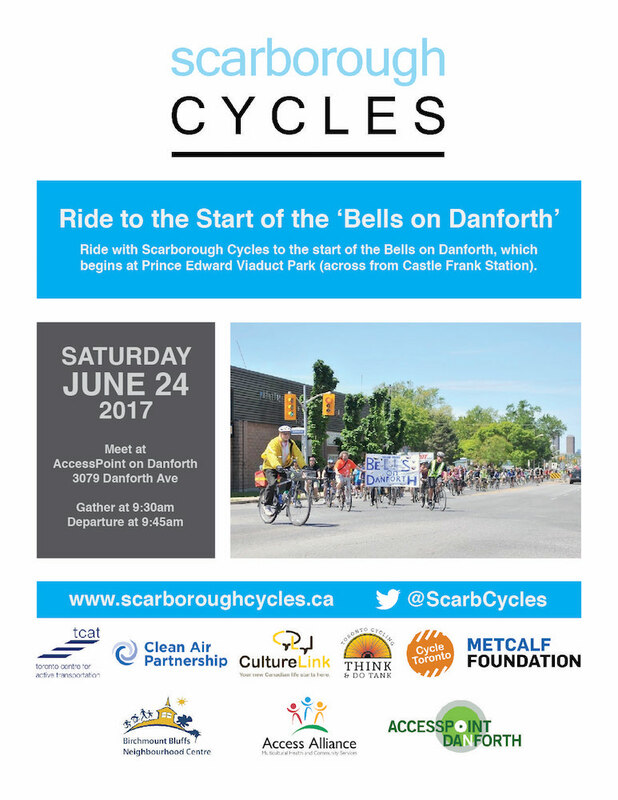 Join Scarborough Cycles for a group ride from our AccessPoint on Danforth Community Bike Hub to Castle Frank Station where we will join hundreds of other cyclists for the annual Bells on Danforth ride. A must attend event!